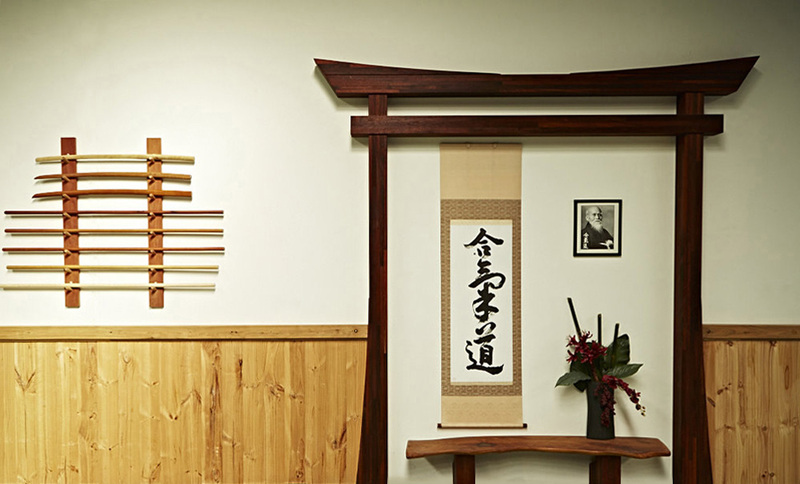 When you enter the ki-fusion Dojo you will notice a piece of calligraphy displayed at the Tokonoma (alcove) in the Shomen (front wall, or focal point of the dojo). 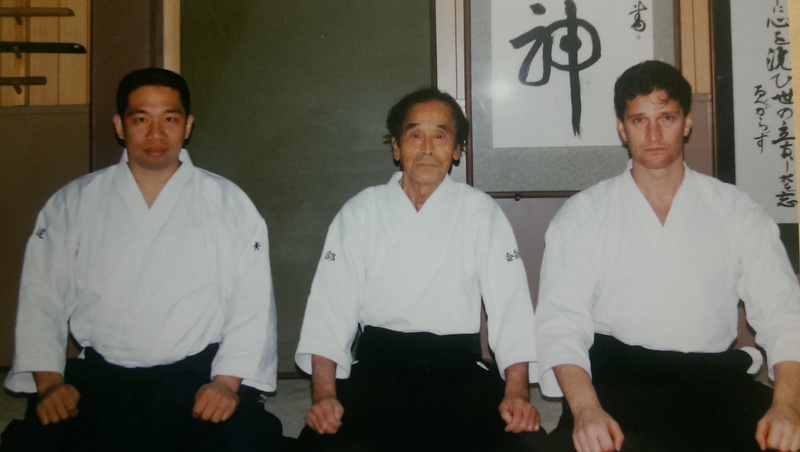 This particular piece was painted by the late Sensei Seiseki Abe, 10th Dan in Aikido, who was O’Sensei’s best friend and one of the foremost calligraphy teachers of Japan. 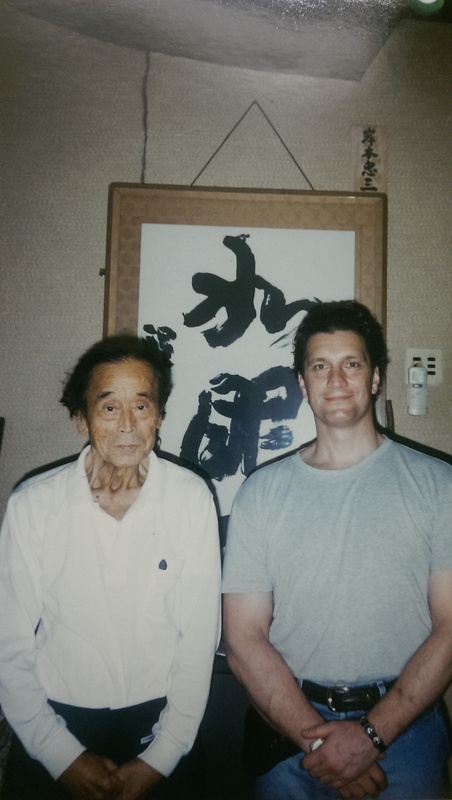 Abe Sensei painted this piece personally for Peter Lindsay who was his first foreign uchi-deshi (live in student) and wanted Peter to hang this piece in his own Dojo back in Australia. The characters mean Aikido and it was written on very special rice paper with a very old calligraphy brush. Peter being a student of Sensei McRae for many years donated this piece to his ki-fusion Dojo for all to appreciate. He felt this was now the right place to display this special piece of artwork.